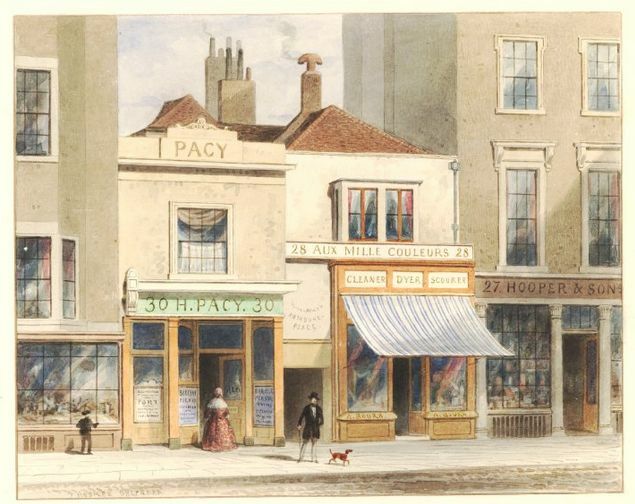 Hooper’s shop only accidentally made it into a drawing by Thomas Hosmer Shepherd, and that only partially, as he depicted the two neighbouring properties, numbers 28 and 30. One half of Hooper’s premises can be seen on the right-hand side of Shepherd’s picture. 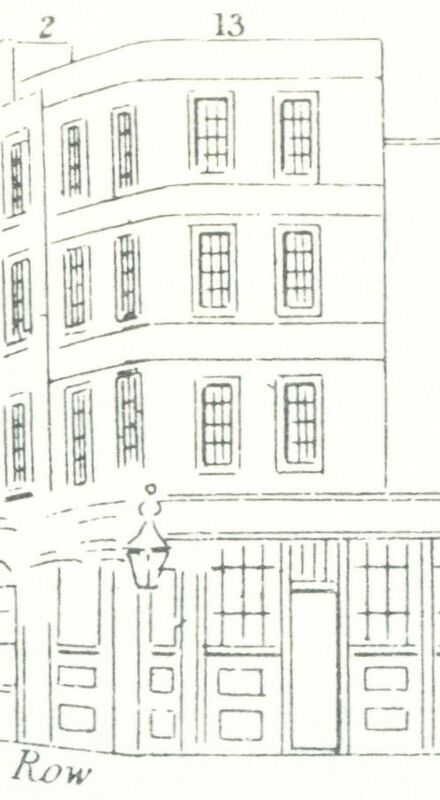 The same cluster of houses was also depicted in volume 4 of Walford’s Old and New London. In both pictures the names of the shopkeepers are different from the ones in Tallis’s Street View; we will come back to that in the posts on the other buildings, but for now, we are just concerned with Hooper’s shop. 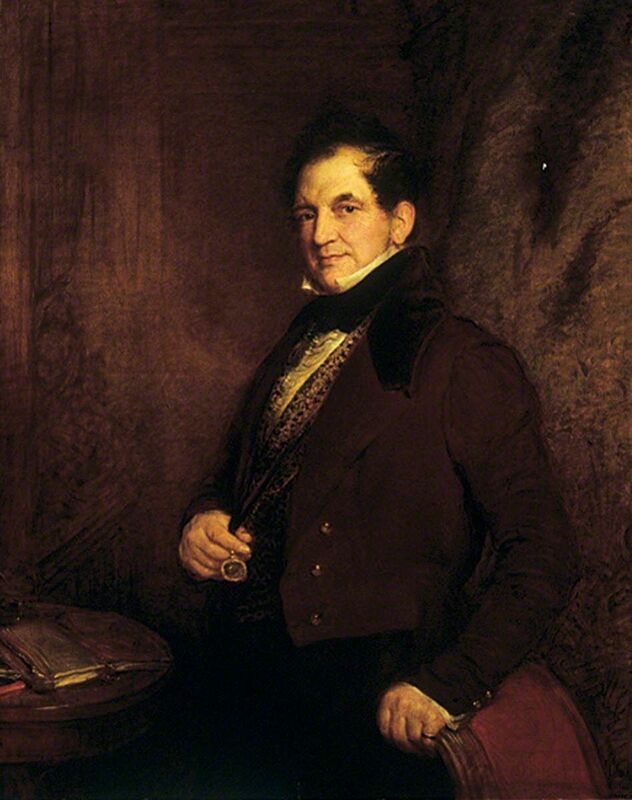 Hooper was first found at 27 High Holborn in an 1802 insurance policy with the Sun Alliance. He and Silvester Norton, confectioners, insure the property on the 1st of November of that year. They may have been at the address in earlier years, but I have not found any evidence for that. In November 1806 Silvester Norton married Elizabeth Hooper at St. Andrew’s, Holborn, and in September of 1807, John Hooper married Elizabeth Norton at St. Pancras Old Church. Both marriages were by licence and the entries in the church registers do not include the names of the parents, which is a pity, as that would have confirmed the double link between the Hooper and Norton siblings. As it is, they may be relatives, such as cousins or nieces rather than siblings, but that the two confectioners forged a double family bond is clear. Silvester’s will of 1826, however, helps as he describes John Hooper as his business partner and brother-in-law, so Elizabeth Norton, John Hooper’s wife, was most likely Silvester’s sister. (1) Anyway, after the death of Elizabeth, John married Sarah, the daughter of his neighbour Richard Swift, a perfumer at 28 High Holborn. Tallis lists the Hoopers as ‘confectioners and lozenge manufacturers’. Lozenges were, according to The Guide to Trade: The Confectioner (1842) “composed of loaf-sugar in fine powder, and other substances, either liquid or in powder, which are mixed together and made into a paste with dissolved gum, rolled out into thin sheets, and formed with tin cutters into little cakes, either oval, square, or round, and dried”. I am slightly worried about the “other substances”, but the Guide starts the list with fairly innocuous additions to give the lozenges their taste, such as peppermint, cinnamon, lavender, or ginger. They then go on to sulpher, ipecacuanha, yellow pectoral (made with orris-root), and magnesium lozenges, among others. Yuk. 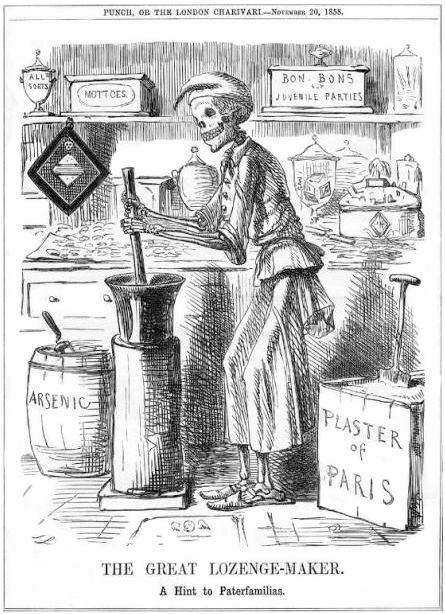 The Great Lozenge Maker, cartoon by John Leech, first published in Punch, 1858. Mind, I am not suggesting that Hooper resorted to putting poison in his lozenges. 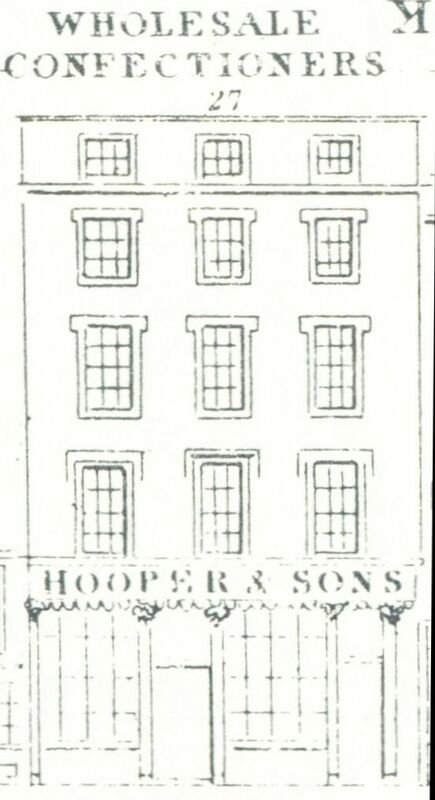 John Hooper's sons from his first marriage, John, William and Frederick, all entered into the business as wholesale confectioners. In the 1841 census, John senior is still found at 27 Holborn, but his occupation is listed as 'independent', so presumably retired. John junior and Frederick are found at the same address as 'confectioners'. At number 26 we find Charles Norton, Elizabeth Norton, and Thomas Norton. Charles (48 years old) is listed as 'independent' and after Elizabeth's name it says 'friends on a visit', but that is later crossed out. Thomas is 18 years old and 'shopman'. Thomas was most likely the son of Silvester, as he had a son John who was born in 1824, so definitely the right age, but what the exact link between the Hoopers and Charles and Elizabeth is, is uncertain. 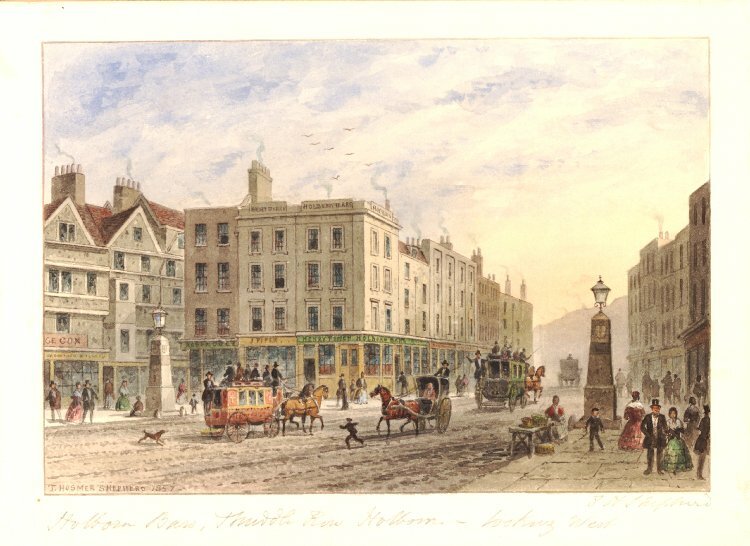 Thomas Norton is still at 26-27 High Holborn as a shopman in the next census of 1851. John Hooper senior is now listed as 'landed proprietor of houses' and although there is another John Hooper listed, it is not son John, but a 'nephew', working as 'warehouseman'. Another ten years on and the 1861 census lists John senior as 'gentleman' and son Frederick as the 'confectioner'. It is logical that Norton’s name disappeared after Silvester’s death in 1825, but the explanation for the expansion into number 26 is not so easy to link to a specific occasion. Did the neighbouring shop owner die, move away, go bankrupt and did Hooper take the opportunity to expand? Or was there another reason to take over number 26? Whatever the reason, the confectioners continued to make their lozenges from the combined address for many years to come. 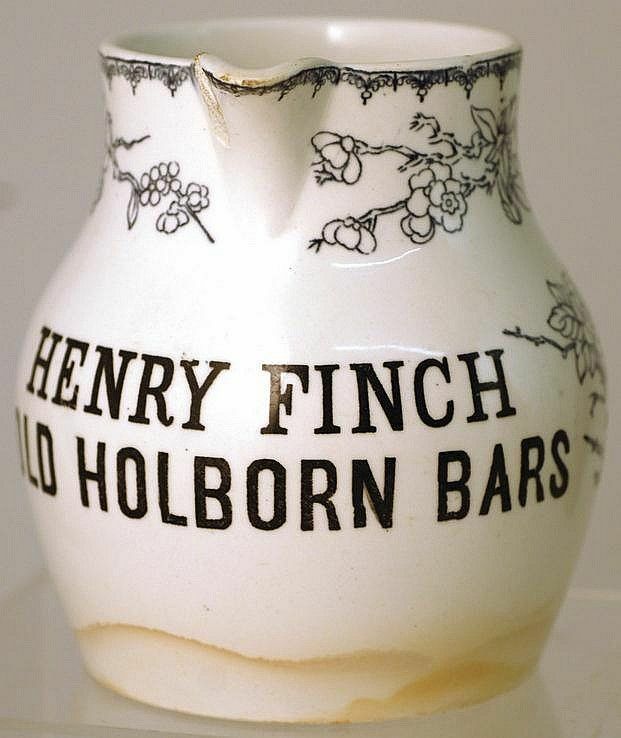 John senior died in November 1865 and his executors were sons John and William, both listed as wholesale confectioners of 27 High Holborn. 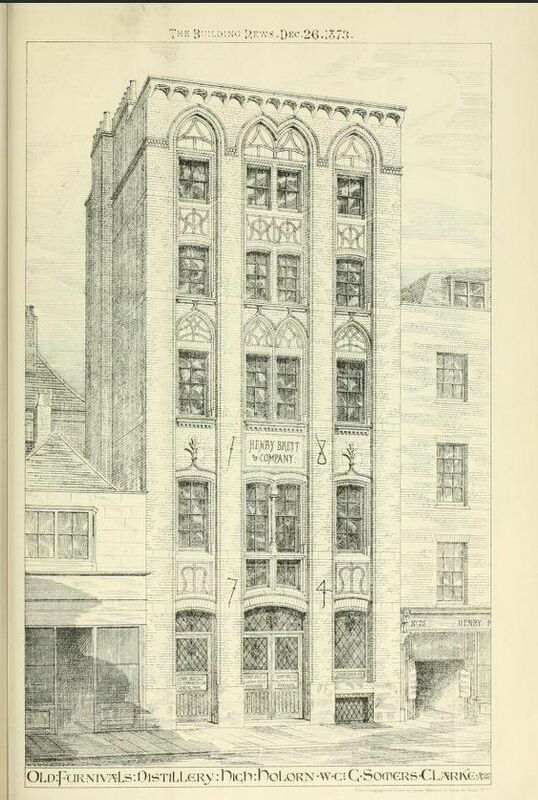 (2) At some point between 1866 and 1873, the sons must have sold the business as in the last instalment of The Building News of 1873, the rebuilding of 26-27 High Holborn was described as for Henry Brett & Co, whom we will encounter in a later post at 139 Holborn Bars as the proprietors of Furnival’s Inn, coffee house and hotel. 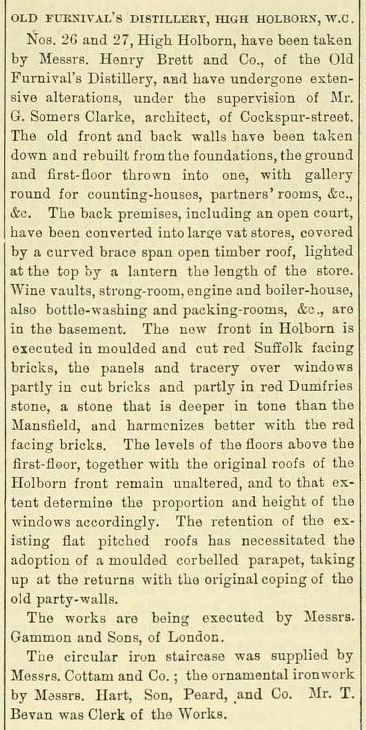 The Building News gives details about the changes (see below), one of them the covering of the open courtyard with a timber roof with a lantern “the length of the store”. 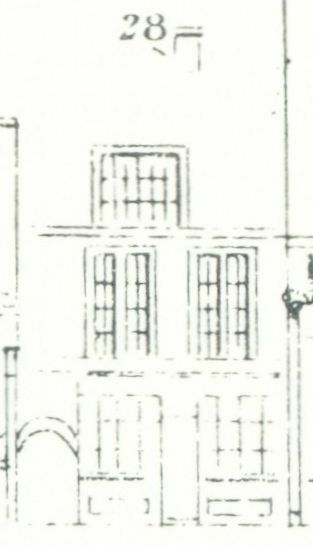 This lantern can clearly be seen on Goad’s insurance map of 1887. The WHSE you see in the picture just means ‘warehouse’. 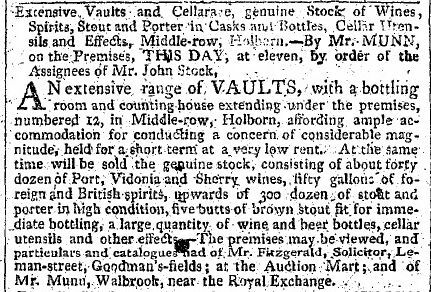 Brett informed his customers in an advertisement in the Daily News of 15 May 1874 that the distillery had been removed from Holborn Bars to their new building at 26-27 High Holborn. And with this, we have come to the end of our story for 26-27 Holborn. (1) Silvester had died in July 1825 and was buried at St. Andrew’s on the 30th of that month. PROB 11/1710/11. (2) England & Wales, National Probate Calendar (Index of Wills and Administrations), 1866. His estate was valued at under £25,000. I’ll meet your good wishes whenever you call. On 18 October 1807, Thomas and Daniel, sons of Paul and Elizabeth Barrett of Marylebone were registered at Spa Fields Chapel, at the Countess of Huntingdon’s Connexion [see for the history of the movement here]. The record also notes their date of birth: 17 January 1805 for Thomas and 29 December 1806 for Daniel. In 1821, Daniel obtained his freedom of the City of London via the Haberdashers by redemption, paying the fine of 46s 8d. 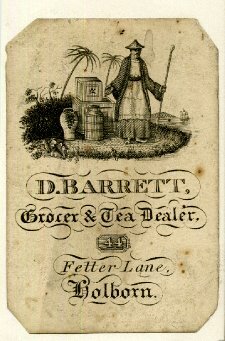 He is listed as a tea dealer and from a notice in The London Gazette of 21 February 1826, we learn that Alfred Tulley and Daniel Barrett dissolve their partnership as tea dealers at Church Street, Hackney. 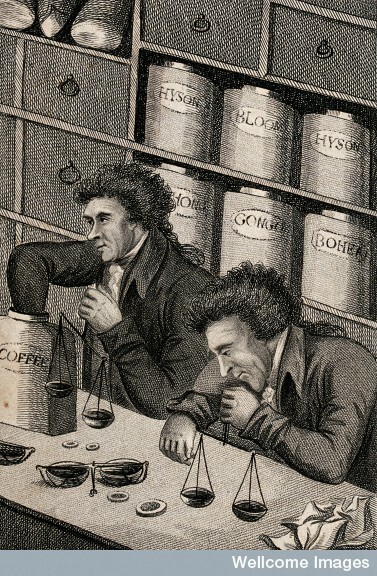 Soon after, Daniel must have entered into another partnership as on the 31st of December 1828, he and James Franks of Green Lettuce Lane, London, dissolve their partnership as wholesale coffee dealers. We next hear from Daniel when he is declared a bankrupt in 1837. (1) He is then described as grocer, dealer and chapman of Fetter Lane and Holborn Bars. Possibly related is an insurance entry of 5 March 1838 for one John Blissett “at Mr. Barretts, grocer, 147 Holborn Bars, gent”. (2) It would make sense to rent out some space in your property if you are in need of money to pay off your creditors. 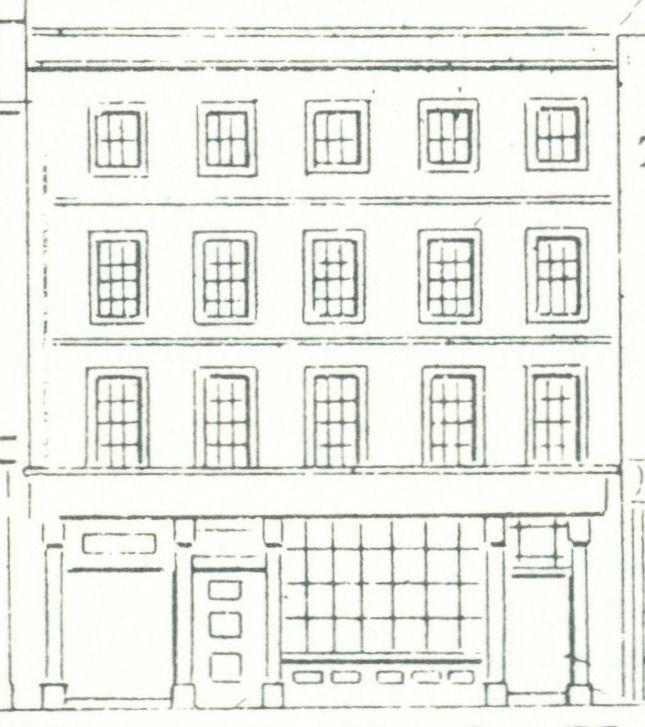 One month later, however, Thomas and Daniel Barrett, “green grocers”, insure property at 24 Church Street, Bethnal Green. 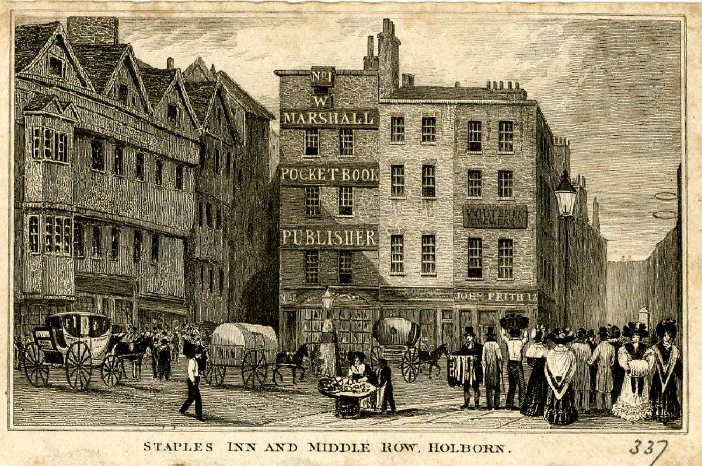 (3) But, the Holborn Bars shop must have remained in Daniel possession, as Tallis clearly lists him at number 147 and the advertisement Daniel put in the Street View leaves nothing to the imagination. 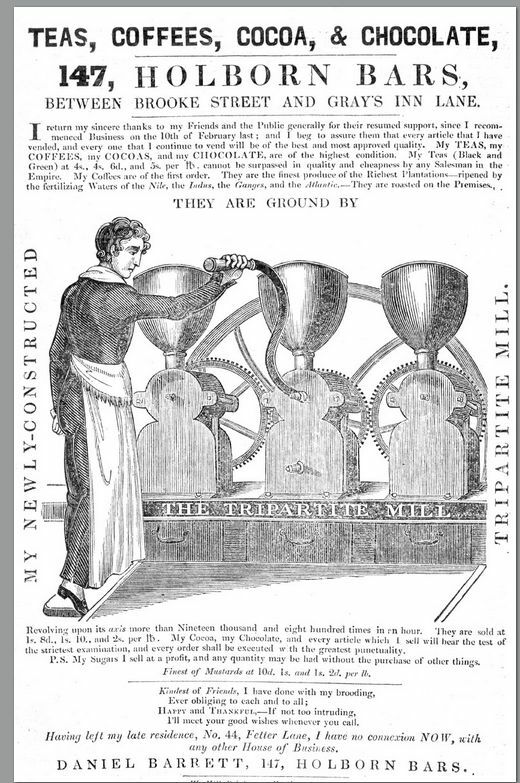 He tells us that he has given up the shop at 44 Fetter Lane and that from the Holborn address, he once again deals in tea, coffee, cocoa, chocolate and sugar, and that he has also installed a tripartite mill, which, of course, makes all the difference to the quality of the produce. In the Tallis Street View index, he is listed as “Tea and Coffee Dealer, and Manufacturer of the Improved Coffee Roasting Machine”. 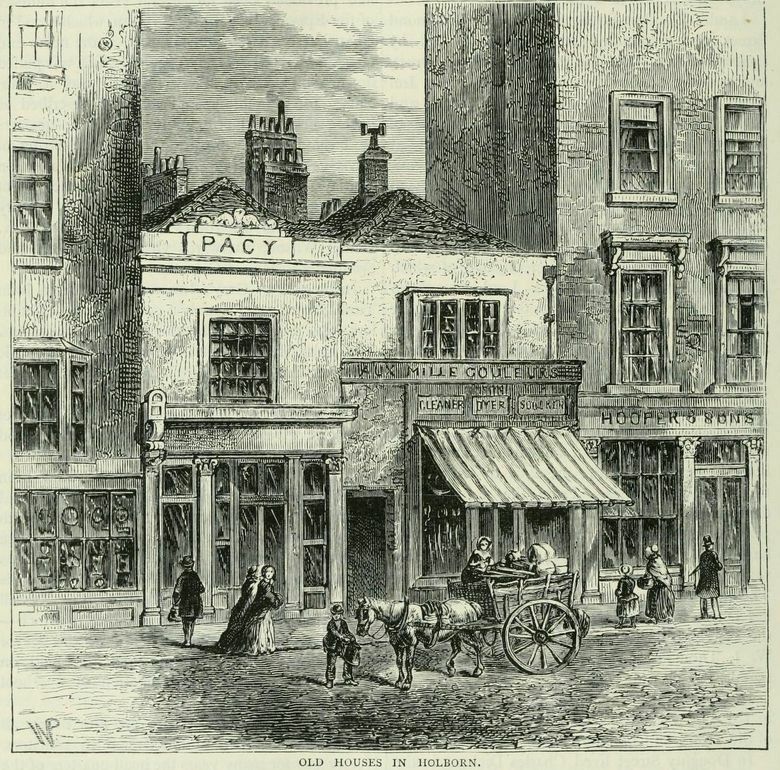 24 Church Street seems to have been the family residence, as from that address, on 9 May 1839, Mary Elizabeth Barrett, one of the daughters of Paul Barrett, grocer, and therefore Daniel and Thomas’s sister, marries one Edwin Loach, the son of Benjamin Loach, a gun maker. What is relevant, however, is that Edwin is also given the Church Street address. Was he perhaps an employee of the Barretts who fell in love with the daughter/sister, or was he simply a lodger? In 1841, Edwin and Mary, with their 11 month old baby Joseph, can be found in the census in George Street, Nether Hallam, Sheffield. Edwin is now said to be in the army. In 1851, the Loach family can be found at Fishergate, York St. Lawrence. Edwin is now a sergeant armourer and Joseph T(homas) has a younger brother Edwin B(arrett). In the mean time, in an 1842 directory, Daniel is listed as a grocer and tea dealer at 95, Fetter Lane and in the 1851 census, he can be found at 24, Three Colt Street, Limehouse. He is not married and his sister Harriet is acting as his housekeeper. Ten years later, this household situation is the same, but at a different address, 7 St. John’s Villas, Upper Holloway, Islington. I have not found Daniel in the 1871 census, but he dies in 1880 and in his probate record he is still listed as of 7 St. John’s Villas and his nephew Joseph Thomas Loach is named as the executor. (4) Joseph is described as a tea dealer of 193 Mile End Road, so instead of following in his father’s army footsteps, he took up his uncle’s grocery profession. In fact, when we look at the 1871 census for Mile End road, we see that Mary Elizabeth Loach, by now a widow, is listed as the head of the grocery business. Both sons, Joseph and Edwin, are also listed at that address as grocers. Joseph marries Victoria Jane Durstow on 22 October 1873 and their second son, who is born in 1879, is given the name of Daniel Barrett Loach. His elder brother is called Edwin Benjamin. 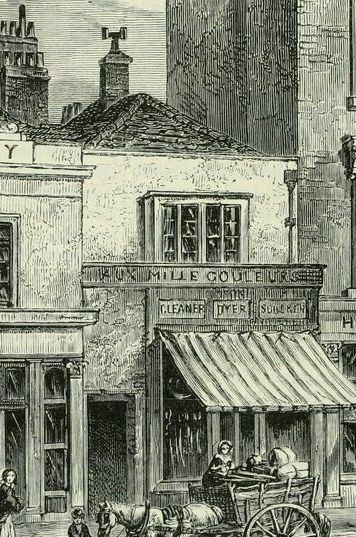 The Mile End address remains the address for the grocery business, at least until 1897 when Joseph is listed in the electoral register as living at that address. When Joseph’s aunt Harriet dies in 1897, he is named as one of the executors. He is then still a tea dealer, but no address is given. 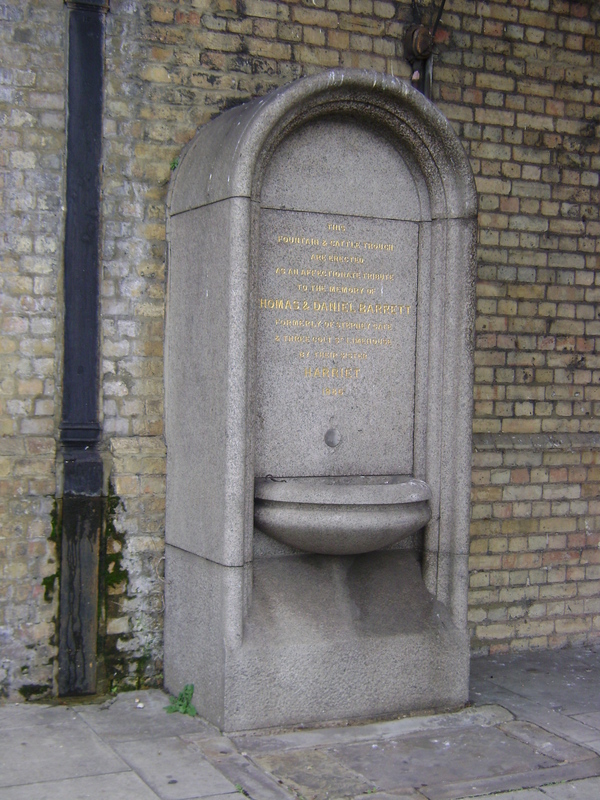 In 1886, sister Harriet erects a drinking fountain in Commercial Road in memory of her brothers Thomas and Daniel. 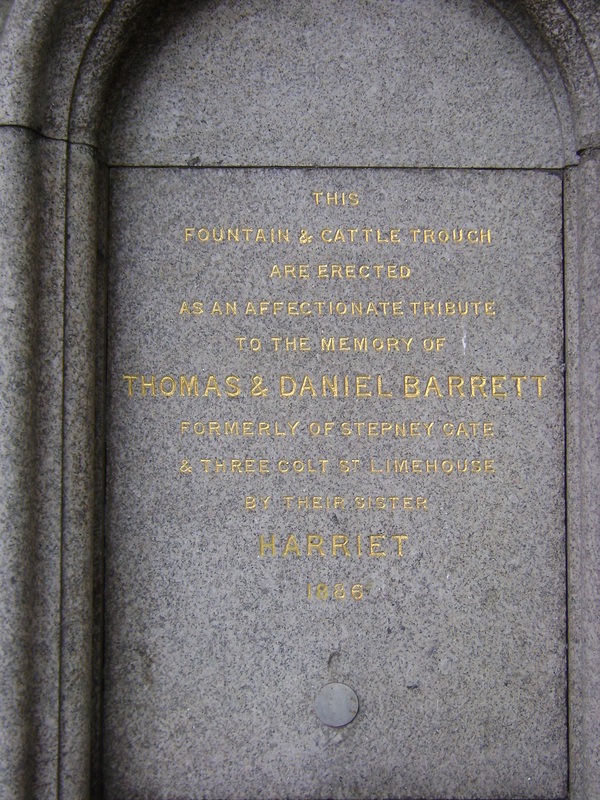 Once upon a time, the memorial also contained a cattle trough, but that is no longer there. (6) Still, it is nice that the two tea dealing brothers have a lasting memorial, albeit not in the best of spots, on a very busy road under a railway bridge, but it is the thought that counts. (1) The London Gazette, 26 September 1837. (2) Sun Fire Office, LMA MS 11936/562/1271230. (3) Sun Fire Office, LMA MS 11936/563/1273153. (4) England & Wales, National Probate Calendar (Index of Wills and Administrations), 1880. (5) England & Wales, National Probate Calendar (Index of Wills and Administrations), 1875. (6) For more information on cattle troughs, see here. In 1780, the Land Tax records for the Farringdon Without Ward list John and Robert Dymond for a substantial property in Holborn. They are charged almost twice as much as their near neighbours; not suprisingly if you consider the width of their property. The Medical Register for the year 1783 tells us that Robert, an apothecary, has died 17 June 1783 at Barnsley, Yorkshire. And in the list of subscribers to John Sheldon’s The History of the Absorbent System (1784), John describes himself as ‘surgeon’. We next hear of Dymond in 1802 as being the apothecary to the House of Recovery, the Institution for the Cure and Prevention of Contagious Fevers in the Metropolis. (1) He seems to have combined the skills of apothecary and physician as that same year, The London Medical and Physical Journal lists him as ‘physician extraordinary’ and as ‘apothecary’. 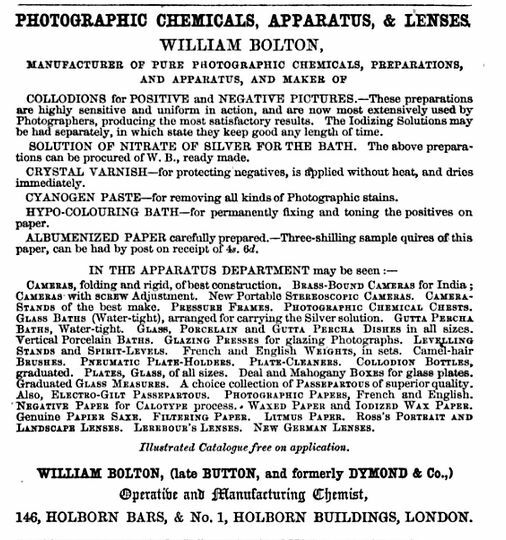 In 1853, Button placed an advertisement in The Journal of the Society of Arts to notify “photographers &c., that he still continues to manufacture and supply Chemical and Apparatus for their use”. The curious use of the word “still” may very well have something to do with a fire that broke out on the premises. 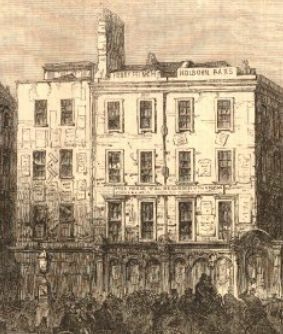 The inquest, reported in The Standard of 16 March 1853, tells us that police constable Walker and serjeant Patterson had discovered that the back warehouse of Button’s shop was on fire. The firemen were alerted, who doused the fire quickly, but one of the firemen brought out “a vessel of melted fluid, which he poured into the gutter. The liquid immediately ignited, but was put out by the firemen in the course of a few minutes, by their throwing water upon it. It then formed itself into a solid mass about the pavement and road”. A little later, the stuff had ignited again and serjeant Patterson tried to stamp the fire out and while doing that, his trousers caught fire and after the firemen doused him in water, he was transported to the hospital, but later died of complications. Patterson admitted to having put a piece of the material in his coat pocket, which probably ignited when he was trying to stamp out the fire in the road. It turned out to have been phosphorus which, according to Button “was quite safe when covered with water”, but, although the external had become solid when the fireman doused it, the internal was still liquid and when Patterson stamped on it, hot sparks would fly out in all directions and that was what probably ignited the piece in his coat pocket. The verdict was accidental death. At the inquest, it also transpired that Button, who had been at his country residence when the fire broke out, occupied the back warehouse and that the front shop was occupied by Mr. Boulton (this was in fact William Bolton), chemist and druggist. 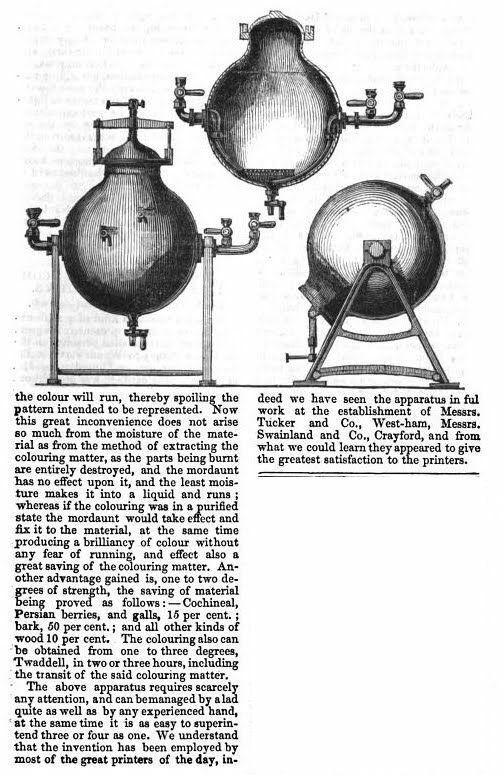 If you are interested in what Dymond had for sale, there are 1834 (Joshua Dymond, 28 pages) and 1837 (Dymond & Co., 34 pages) catalogues under the title Chemicals and Apparatus Prepared and Sold, Wholesale and Retail to be found in various libraries, but you may have to travel some distance (see WorldCat). (1) The Morning Chronicle, 3 February 1802. (2) The London Gazette, 1 January 1839. (3) The Charter, 8 December 1839. (4) The Morning Chronicle, 10 July 1851. (5) The Morning Chronicle, 30 December 1851. 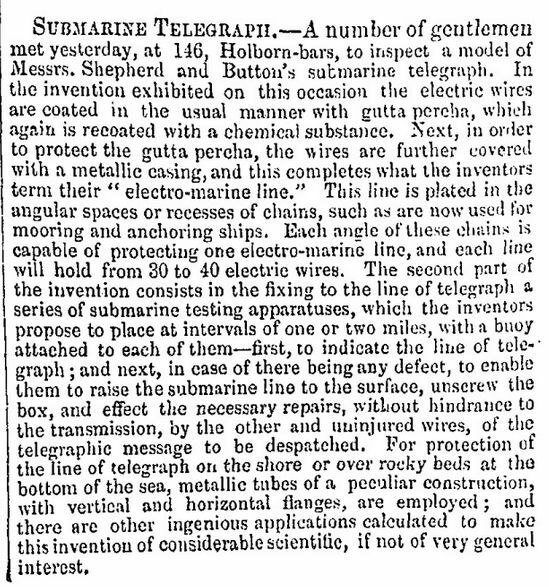 (6) The Morning Chronicle, 19 March 1853. (7) The Standard, 18 August 1856. (8) England & Wales, National Probate Calendar (Index of Wills and Administrations), 1867. Probate was granted to Catharine, his widow, and the estate was valued at £10,000, later resworn at £6,000. (9) The Correspondence of Charles Darwin, volume 11: 1863 (1999).